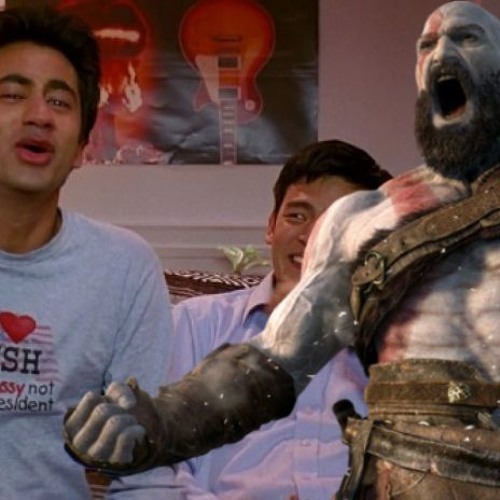 It's almost all God of War, but we throttle some Harry Potter in there somewhere. I'll have to listen to this one later. not starting GoW till Friday 5/18/2018. warning: If you're not interested in God of War, there's nothing for you here. Damn, Laura, that was some solid determination to actually get your words out. Thank God. I'd rather have a handful of weaposn I get intimately familiar with than 100 weapons I just use and throw away. What was the punky/street version of the Sims that tried to take on the Sims called? I think it probably Limp Bizcuited the name. Also, Tabletop is less time consuming. Love the goof. I heard that the next X box is going to have a command line interface and they're going to call it the X Box DOS. There's that will-they-won't-they piratical tension!